In this tutorial, we will study about one of the popular android library for QR Code scanner in android application. We will see how to implement android QR Code Scanner Using ZXing library in kotlin. We will see how to use ZXing library in activity, how to use ZXing library in fragment etc. Since kotlin is official programming language for android application development, this tutorial has been covered in kotlin programming language. However, you can get source code for android ZXing library in kotlin and java both. At first, we will see some basic concepts about QR Code. Then, we will see how to implement Android QR Code Scanner Using ZXing library in kotlin. QR Code (abbreviated from Quick Response Code) is a trademark for two dimensional bar code that contains information about the item to which it is attached. It became popular due to it’s fast readability and greater storage capacity compared to standard UPC barcode. – Most commonly in consumer advertising. Note – If you want to skip this part, you can just download sample QR Code for this tutorial. Right click and click on “Save As Image”. Then, move to implement QR Code Scanner. Since we know what a QR Code is, we will see how to implement QR Code scanner in android application. This scanner helps us to retrieve the data stored in QR Code. Before implementing android QR Code scanner, we will see how to generate QR Code. Here, we will use http://goqr.me/ to generate QR Code. Generated QR Code will be used as a sample QR Code in this tutorial. (a) Go to website – http://goqr.me/. (b) Screen similar to shown as below will appear. Enter the text as shown in the Section 2. Contents. Then, click on the download button (as shown in bottom-right of the above image). Till now, we have seen what a QR Code is, different uses of QR Code, how to generate QR Code etc. Now, we will see how to implement android QR Code scanner using ZXing library in kotlin. Now, we will create a scanner that will retrieve this information. You may see Button, TextView and Different Android Project Structures to understand this post (qr code scanner using zxing library) clearly. So, Let’s start by creating a new android application. 2. Go to File => New => New Project. Write application name as ZXingLibrary. Then, check Include Kotlin Support and click next button. As we have already mentioned, we will be using ZXing library to create QR Code Scanner. So, once your project is created successfully, Open app/build.gradle file. Then, add below code into it. This is gradle for ZXing library with support library packages. After adding ZXing library gradle, Sync your project by clicking on Sync Now button shown at top-right section of the IDE. Now, we will add code into values folder. These code contains all constants values to be used in the application. So, it would be better if you add it now to avoid any error. Then, open res/values/dimens.xml file. Then, add below code into it. Till now, we have added ZXing library in our application. Then, we have added all the constant values to be used in the application. Now, we will implement the QR Code scanner in activity as well as in fragment. So, Let’s start by creating QR Code Scanner in Activity. Now, we will see how to implement QR Code scanner in activity. At first, we will create user interface. Then, we will implement QR code scanner using zxing library. Here, we have defined user interface to start scanning the QR code on button click and show the result in textView. Note – Since we know about the types of data stored in QR Code. We have created the user interface accordingly. However, you can design interface as per your need. You can see one more button with id showQRScanner that show, whenever it is clicked, user interface implemented for QR Code Scanner in fragment. Now, we will access view objects defined in xml file and set click listener in button to perform QR Code scanning using ZXing library. So, open your main/java/tutorialwing.com.zxinglibrary/MainActivity.kt file. Then, add below code into it. // Add code to show QR Scanner Code in Fragment. // Code to perform action when button is clicked. Here, we have defined view objects and set click listener on button to perform some actions. Now, we will add the code to scan the QR Code using ZXing library in kotlin. // If QRCode has no data. // If QRCode contains data. // Show values in UI. // Data not in the expected format. So, whole object as toast message. Here, we are starting the QR Code scanning when button is clicked. Then, retrieving the scanned data in onActivityResult method. After that, we are showing the data in textViews. Note that we have not done anything in click listener set to button with id showQRScanner. We will use this later in this tutorial. 5. Problem in Landscape and Portrait Mode Change Automatically? At this point of time, when you run the app, you will notice that whenever you click on button (SCAN QR CODE), camera is displayed in landscape mode. The orientation mode changes back to portrait mode as soon as QR Code scanning is complete. This causes frustration because your app orientation mode changes rapidly. – Add code to check app’s orientation into AndroidManifest file. So, open main/AndroidManifest.xml file. Then, add below code into it. – Then, add below code into MainActivity.kt file. Just like activity, we can implement Android QR code scanner using ZXing library in fragment. 1. Create a new kotlin file ( named QRCodeFragment.kt) in main/java/tutoriawing.com.zxinglibrary package. 2. Create a new xml file (named fragment_qrcode.xml) in res/layout folder. Open res/layout/fragment_qrcode.xml file. Then, add below code into it. Here, we have shown a button and some textViews that will display the data retrieved from QR Code after scanning using ZXing library. Now, we will add code in QRCodeFragment.kt file to access objects defined in xml file. Then, perform some operations on click. So, open main/java/tutoriawing.com.zxinglibrary/QRCodeFragment.kt file. Then, add below code into it. // Add code to perform some operation when button is clicked. 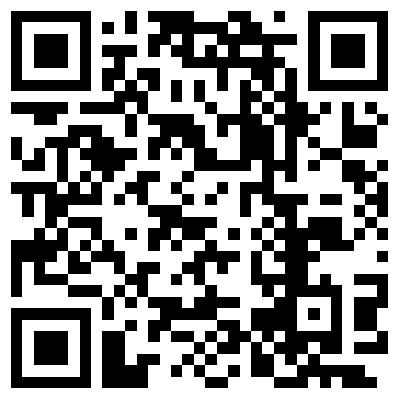 Now, we will add code to create android QR code scanner in fragment (QRCodeFragment.kt). So, open main/java/tutoriawing.com.zxinglibrary/QRCodeFragment.kt file. Then, add below code into it. Here, we have added code to start the qr code scanning when button is clicked. Then, we are retrieving the data in onActivityResult method. Then, result is being shown in respective textViews. Now, we will create helper activity, it’s xml file to use implemented qr code in fragment. (1) a new kotlin file, named SecondActivity.kt, in main/java/tutorialwing.com.zxinglibrary package. (2) a new xml file , named activity_second.xml, in main/res/layout/ folder. Now, add below code into main/java/tutorialwing.com.zxinglibrary/SecondActivity.kt file. Then, add below code into main/res/layout/activity_second.xml file. Then, mention about this new activity in AndroidManifest file. Add below code into AndroidManifest.xml file. Remember we have defined a button with id showQRScanner in MainActivity. Then, we have set click listener in it. Now, add below code to show SecondActivity when this button is clicked. Now, run the app. Click on button to show “Scanner From Fragment”. You will see user interface defined in fragment. Note – For simplicity of this project, we have defined the user interface in fragment to similar as that of activity. However, you can define it as per your need. This completes implementation of Android QR Code Scanner using ZXing library in fragment. Now, we will see some more concepts on how can you customise the default features provided in ZXing library. Till now, whatever we have discussed is default features provided by ZXing library. However, you can customise it if needed. For example, you can turn on/off beep sound you hear when QR Code scanning is complete, choose camera to scan the code etc. This completes our tutorial on implementing Android QR Code Scanner Using ZXing library in kotlin.